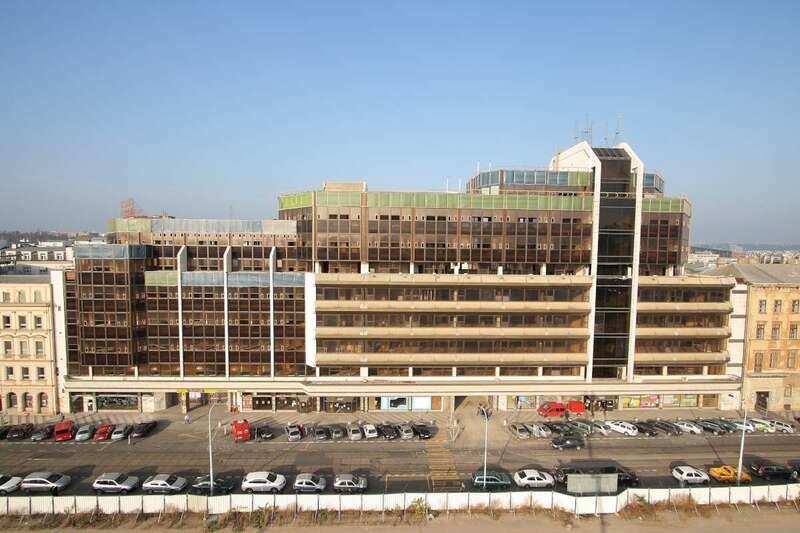 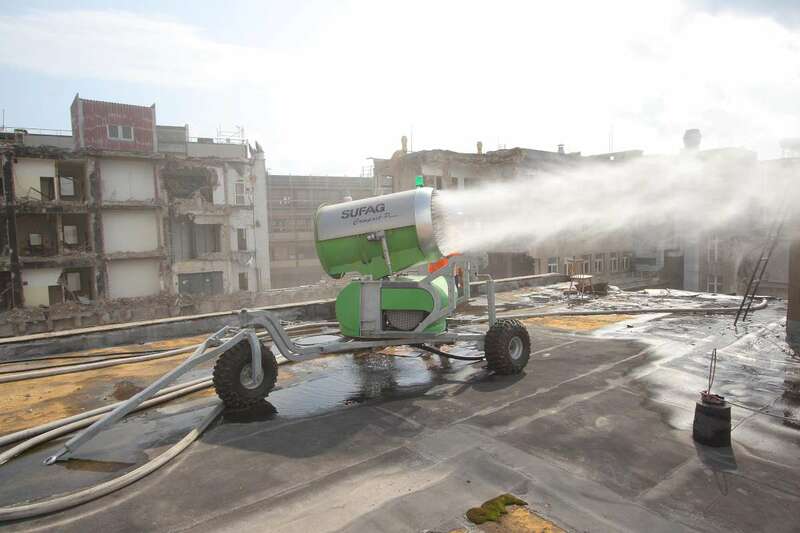 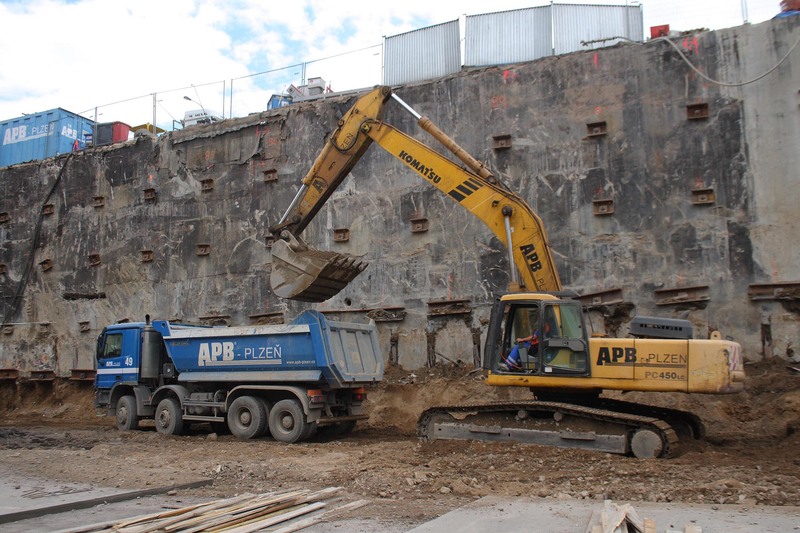 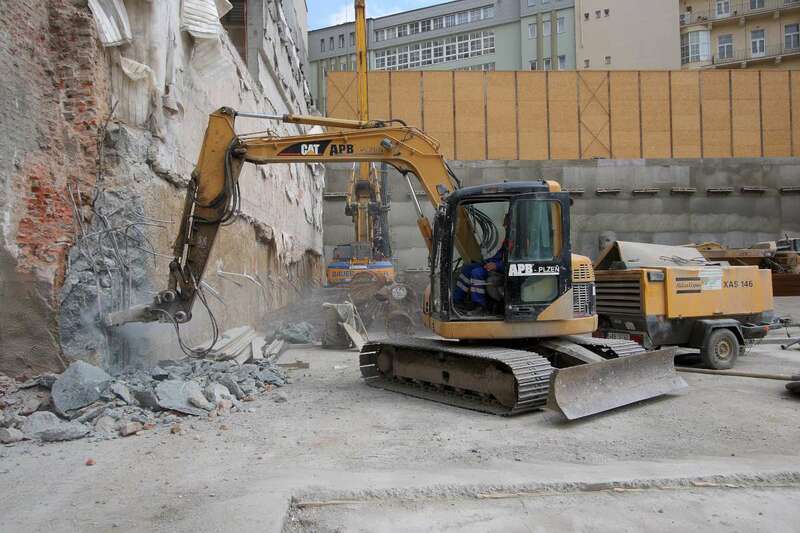 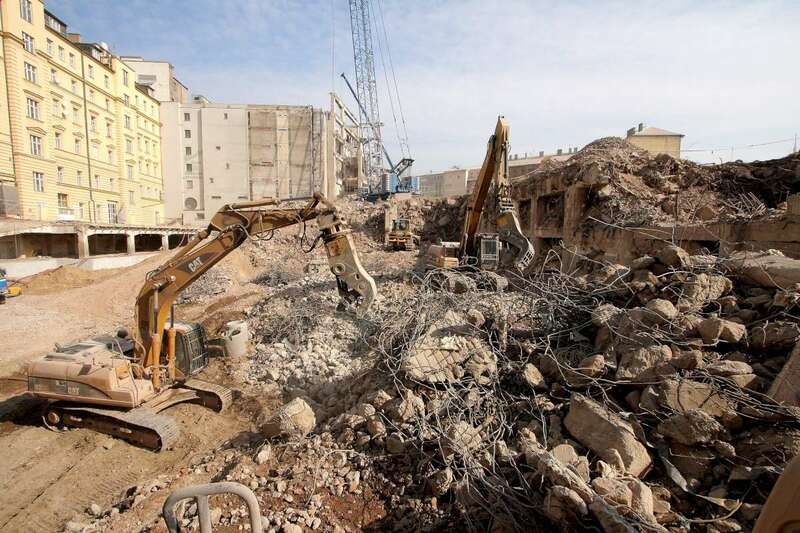 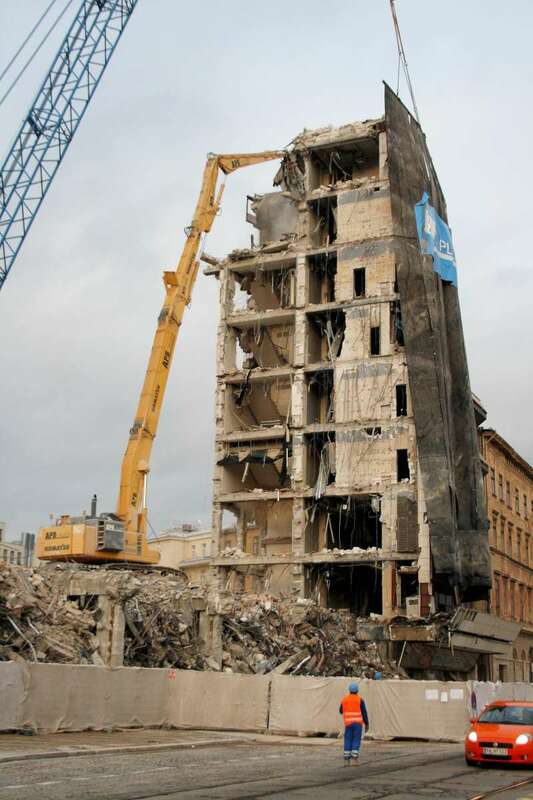 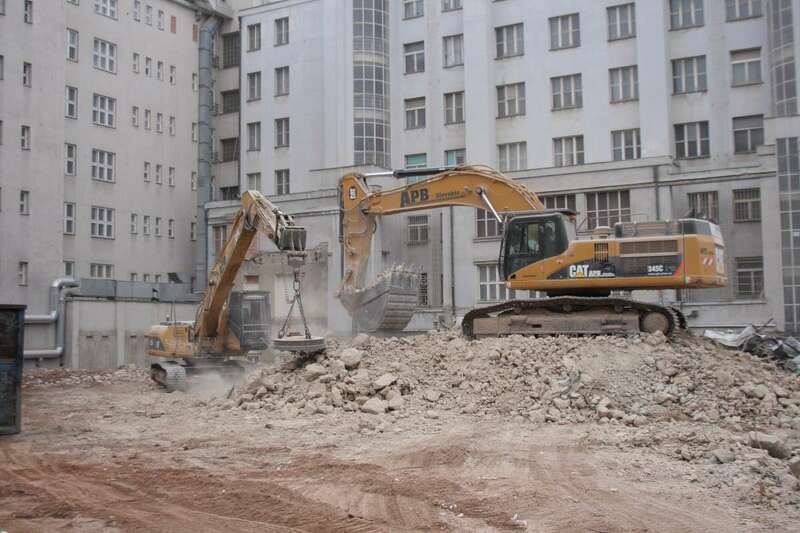 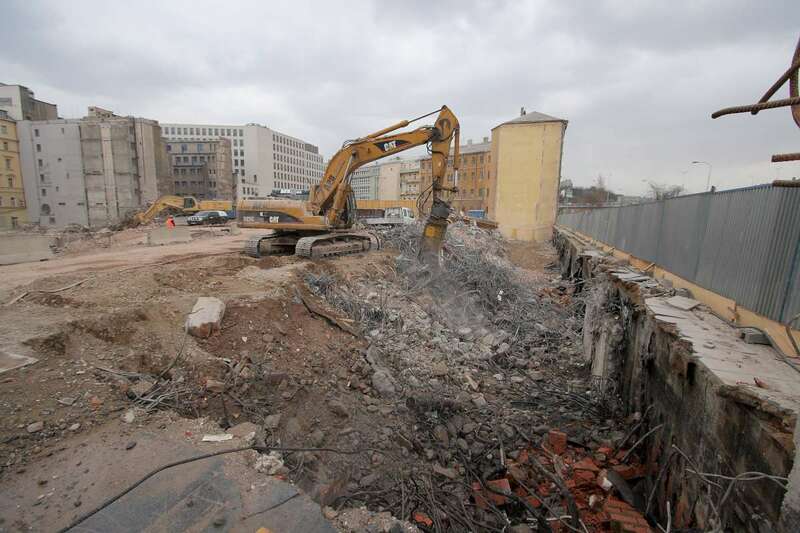 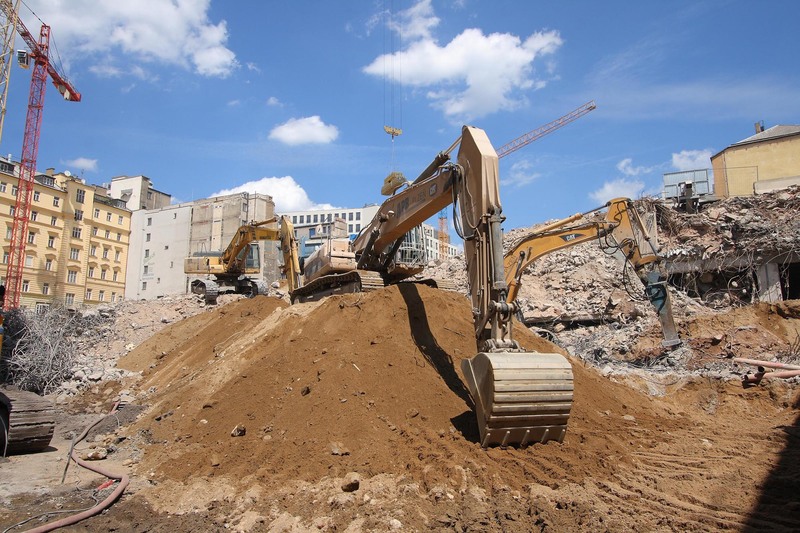 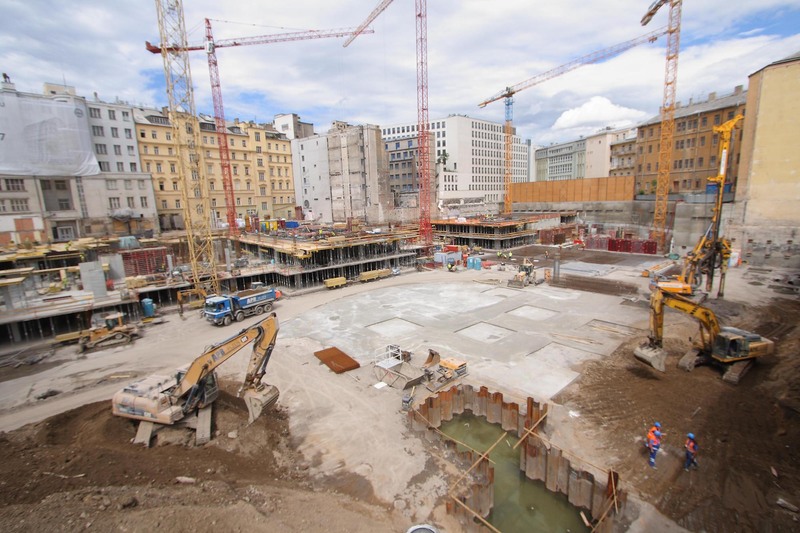 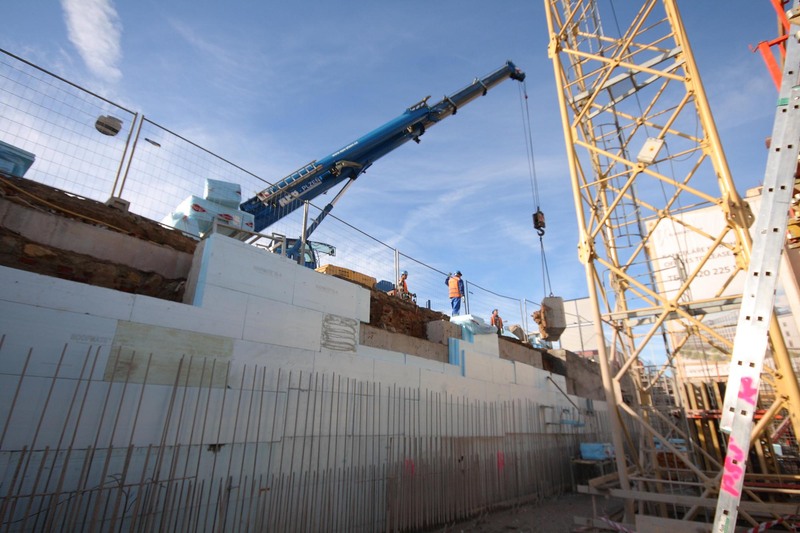 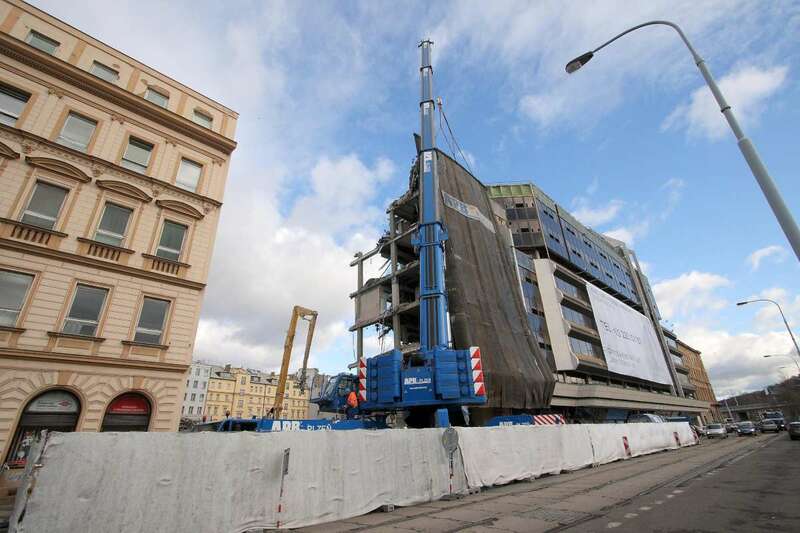 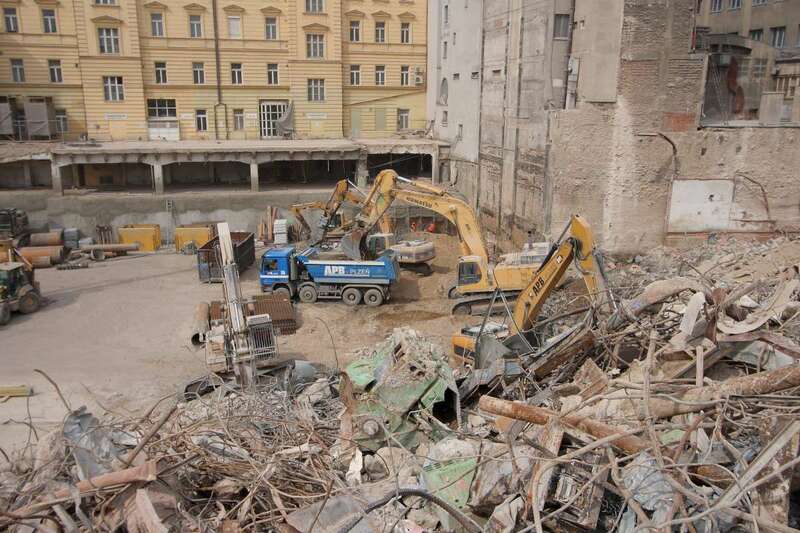 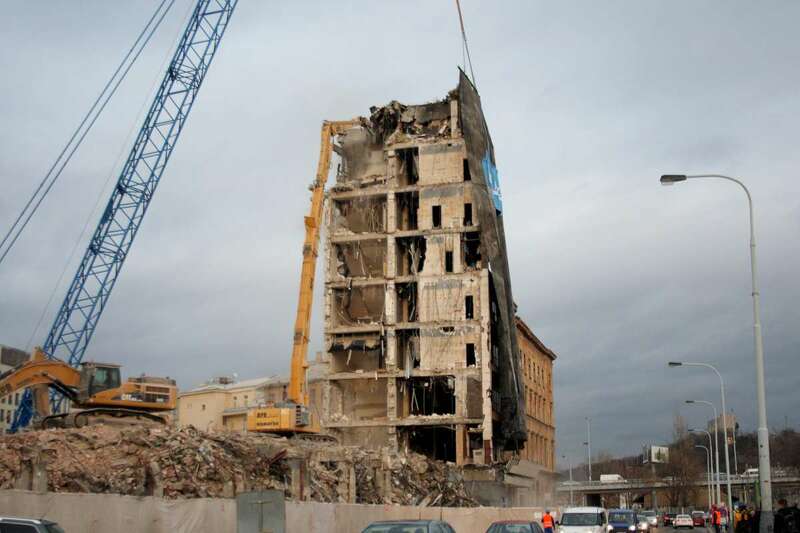 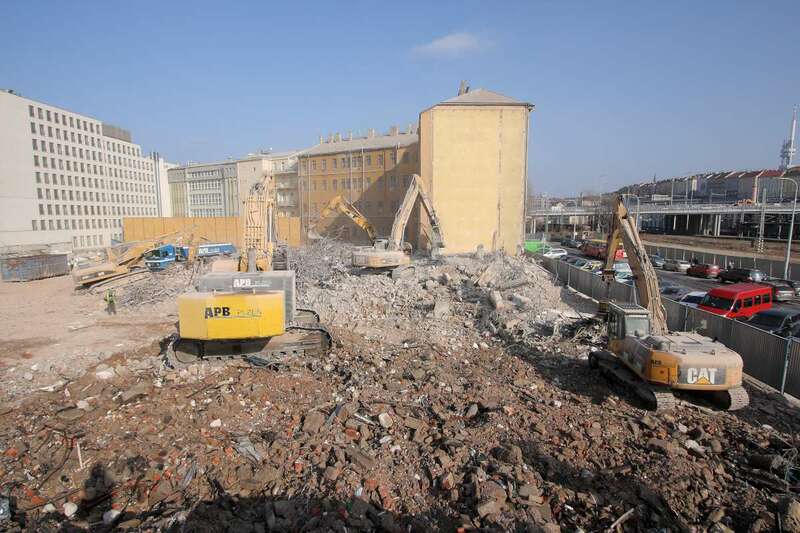 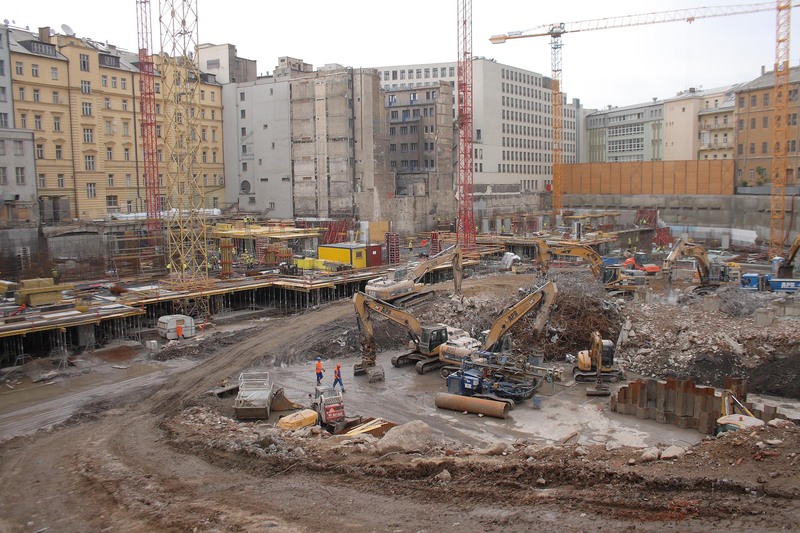 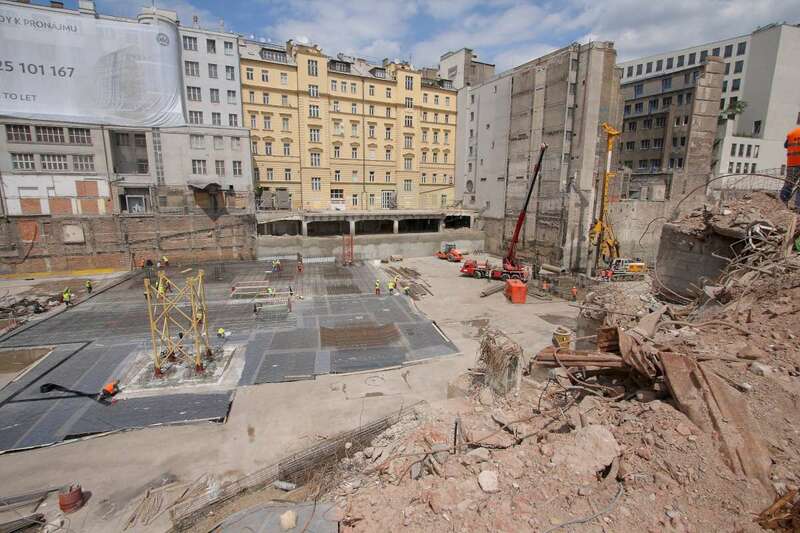 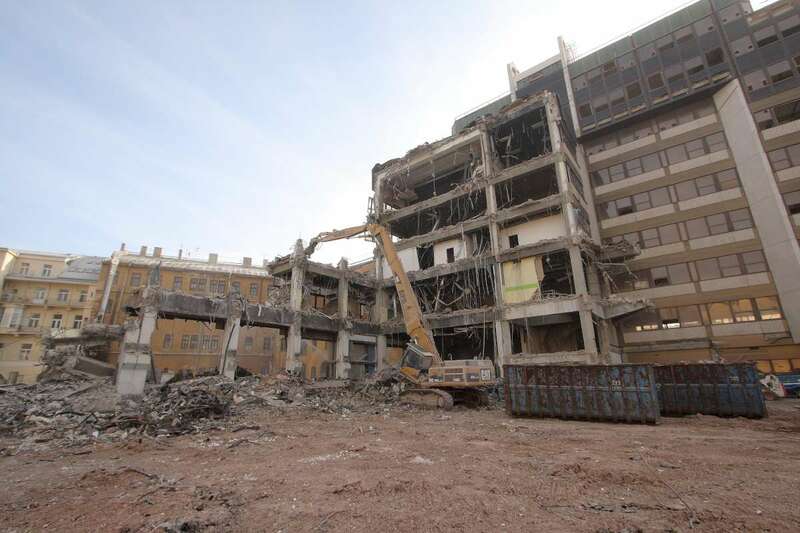 We implemented complete demolition of all buildings and subsequent special foundation work for the construction of the Florentinum administrative centre in the centre of Prague. 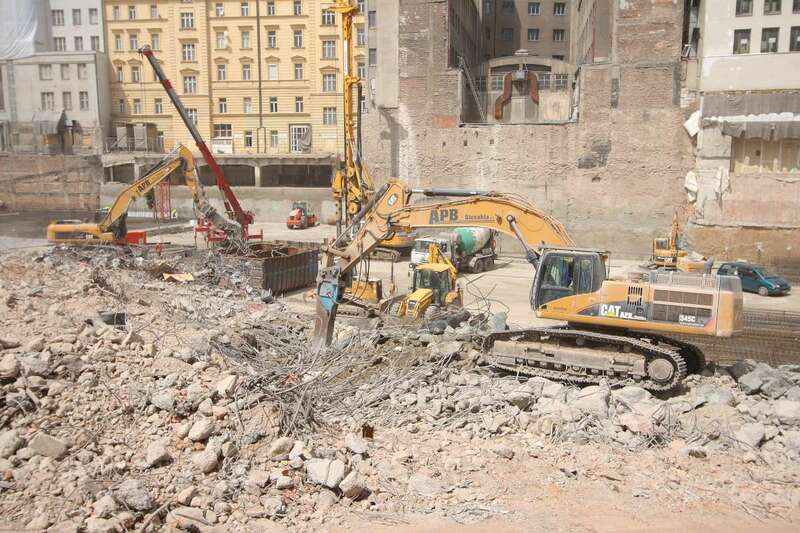 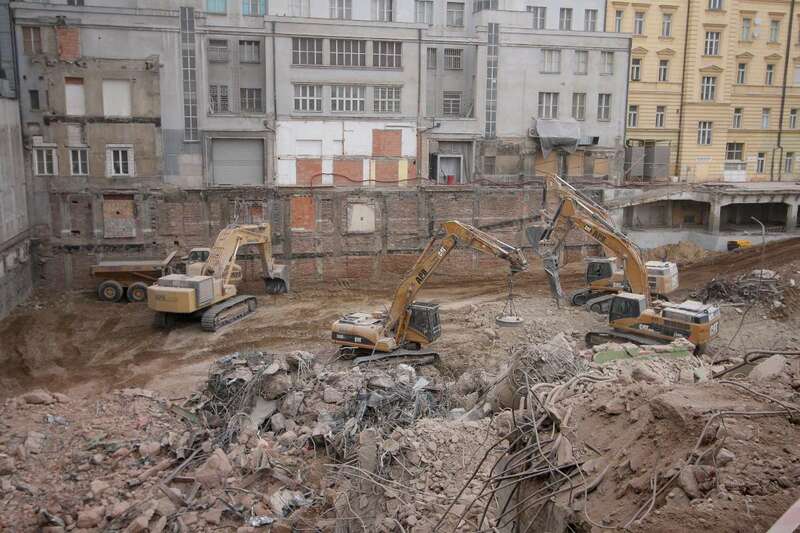 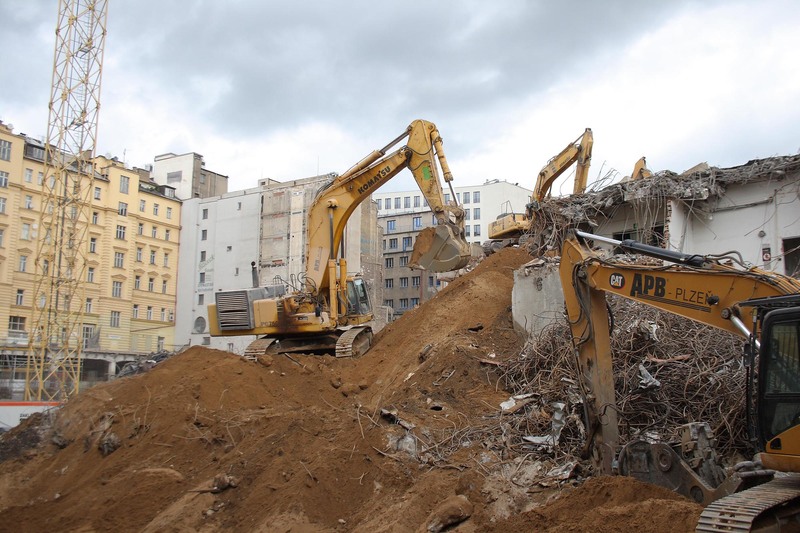 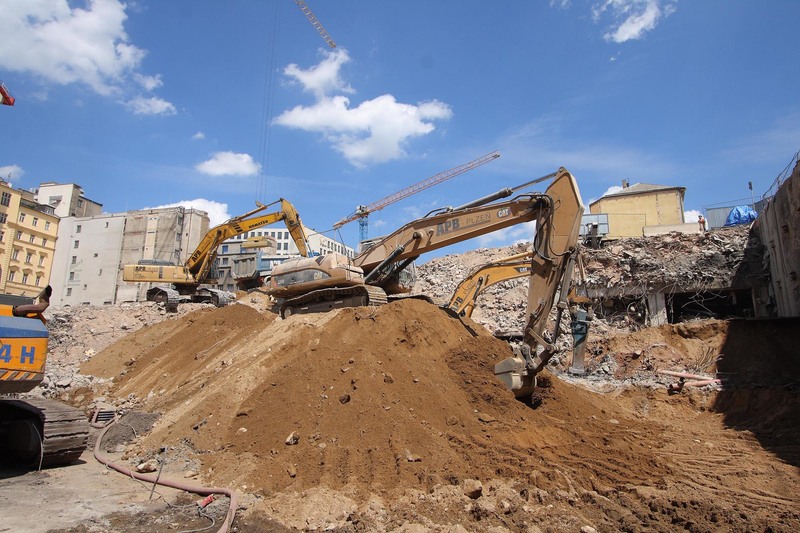 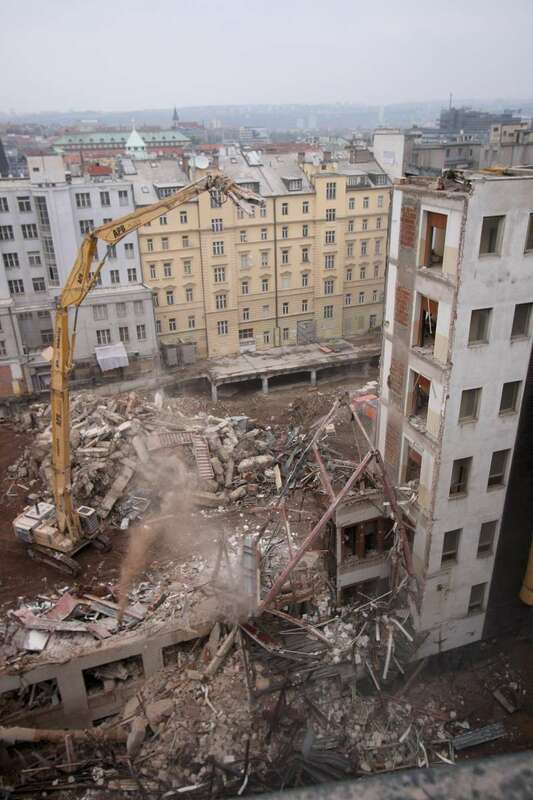 Notes: This huge demolition job in the centre of Prague was undertaken with minimum impact on traffic on Na Florenci street. 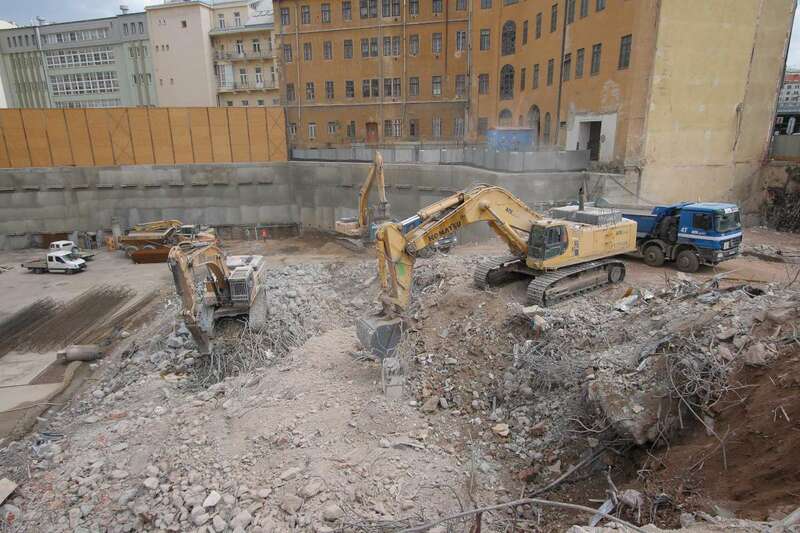 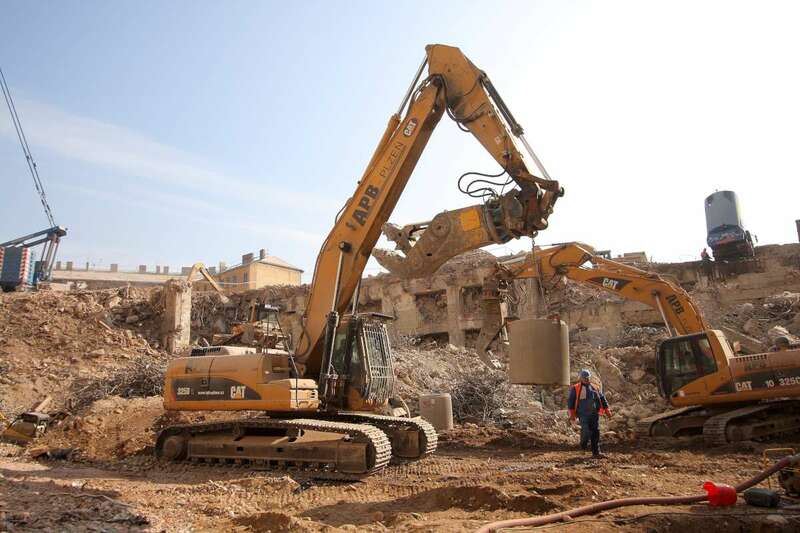 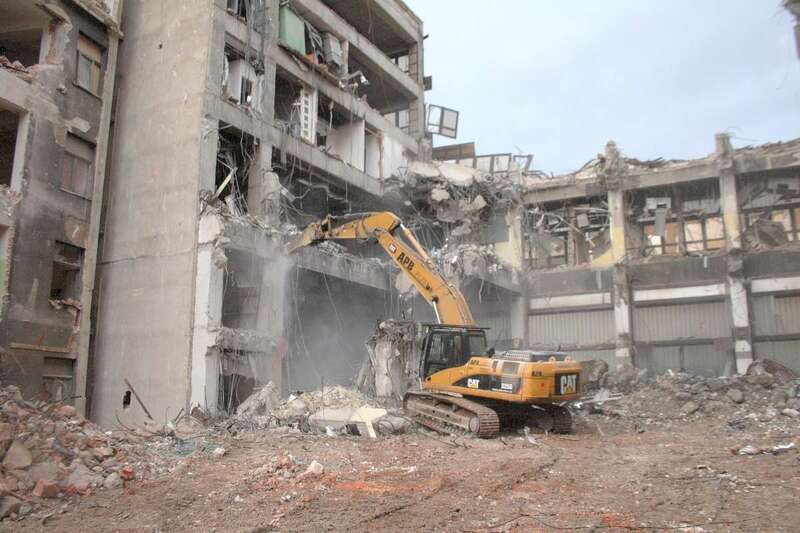 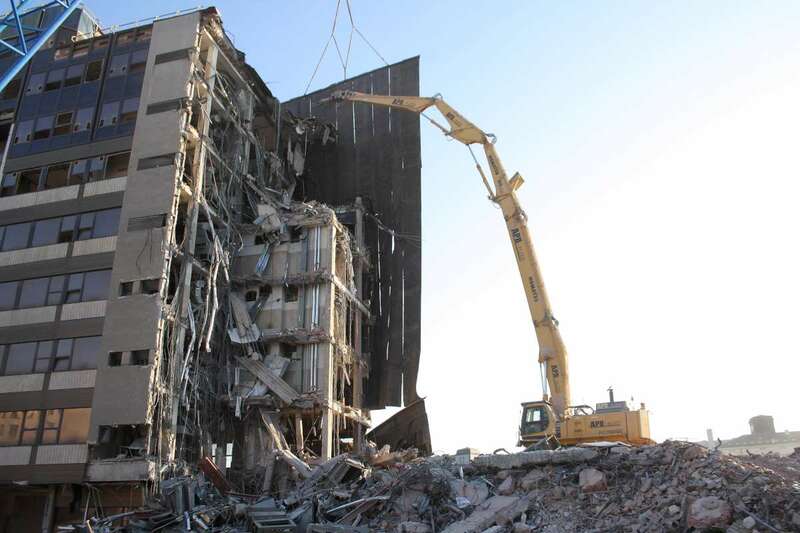 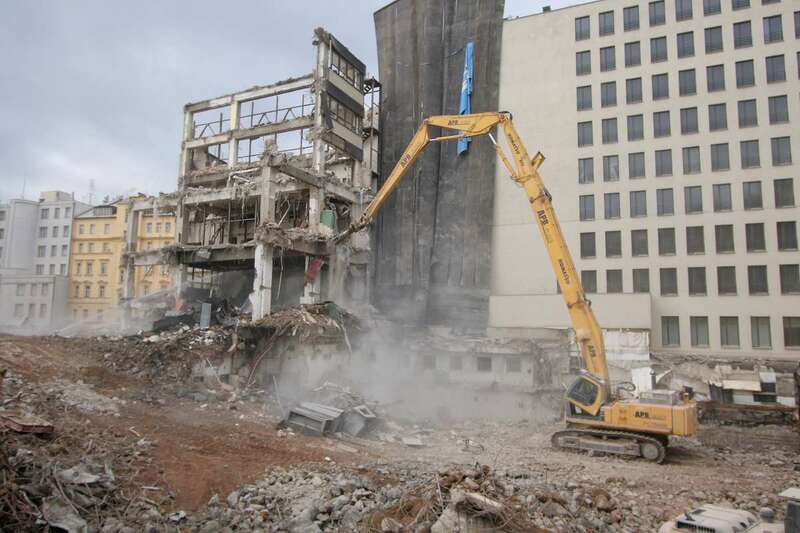 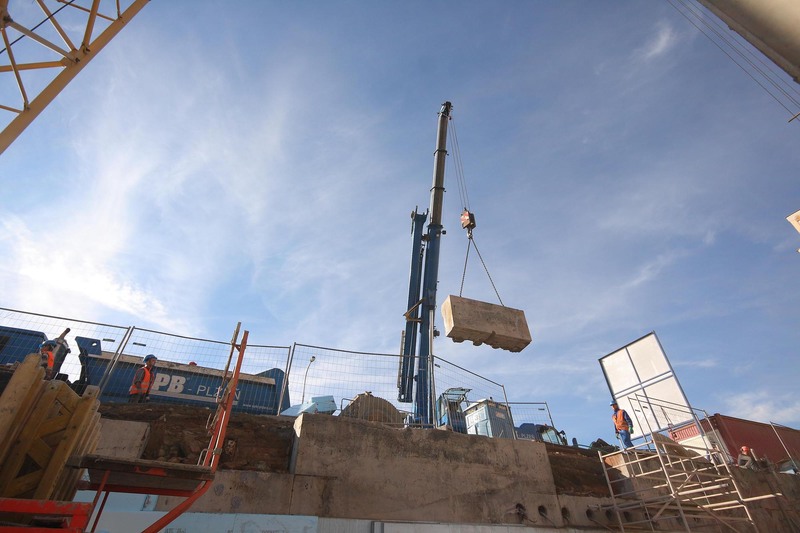 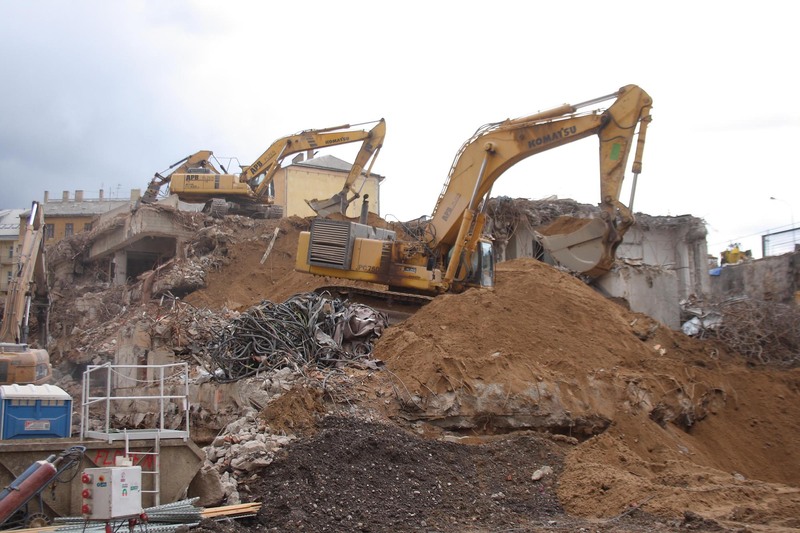 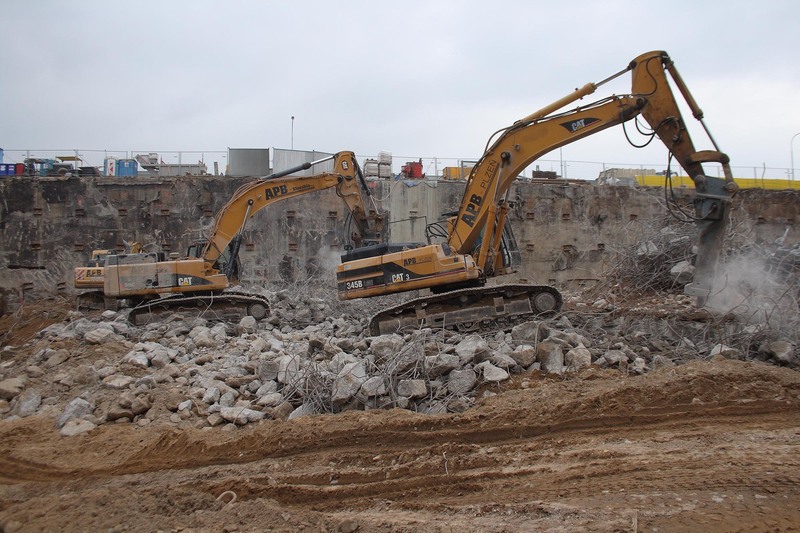 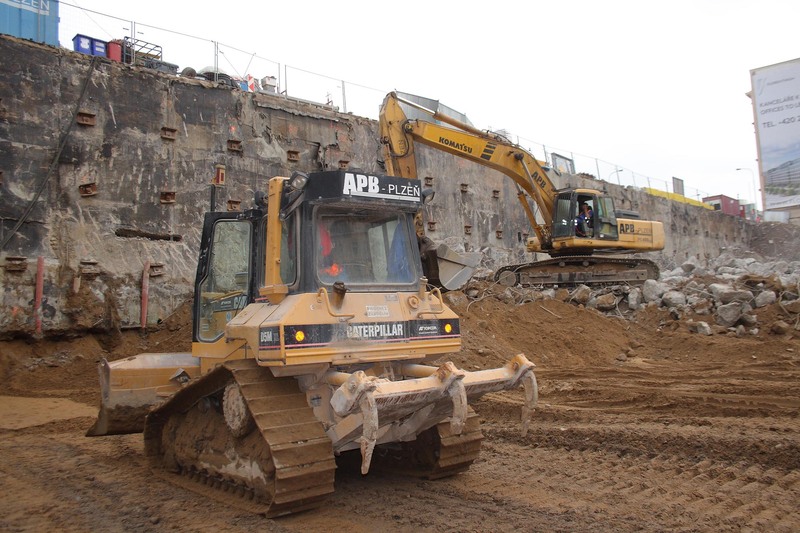 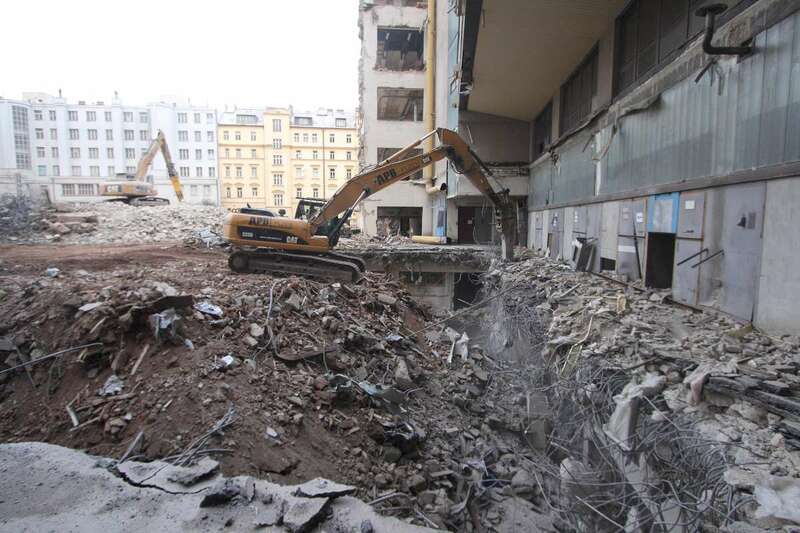 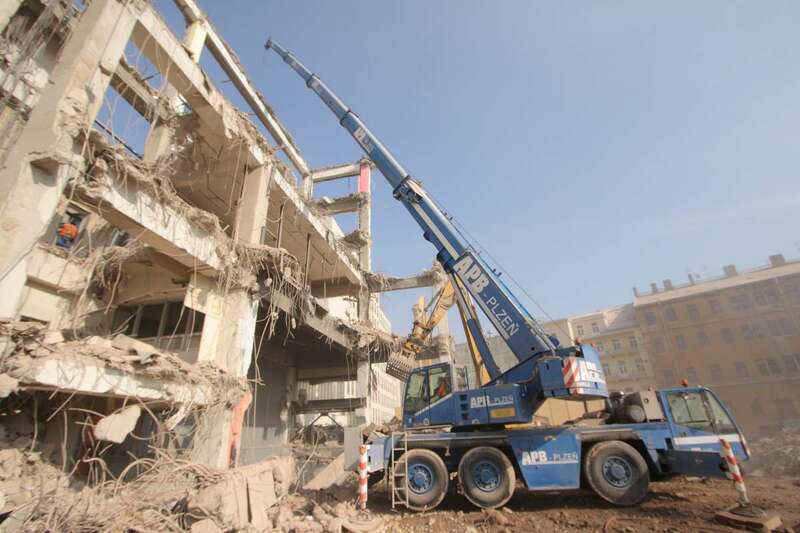 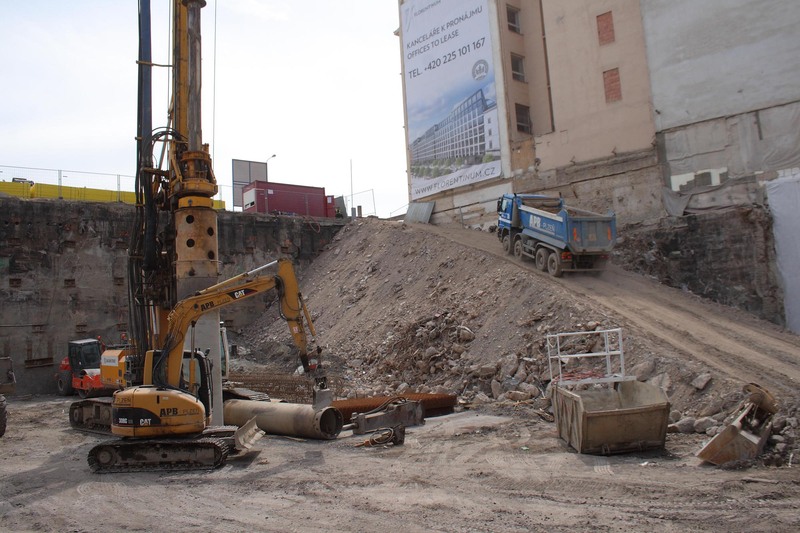 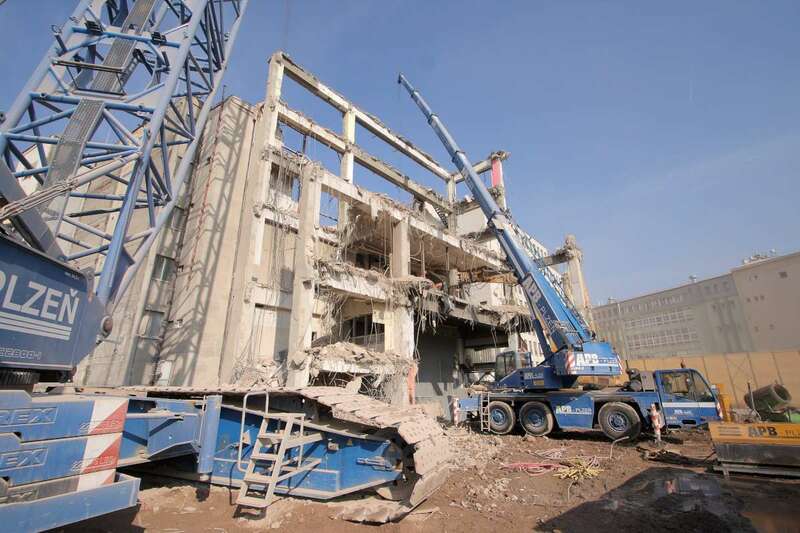 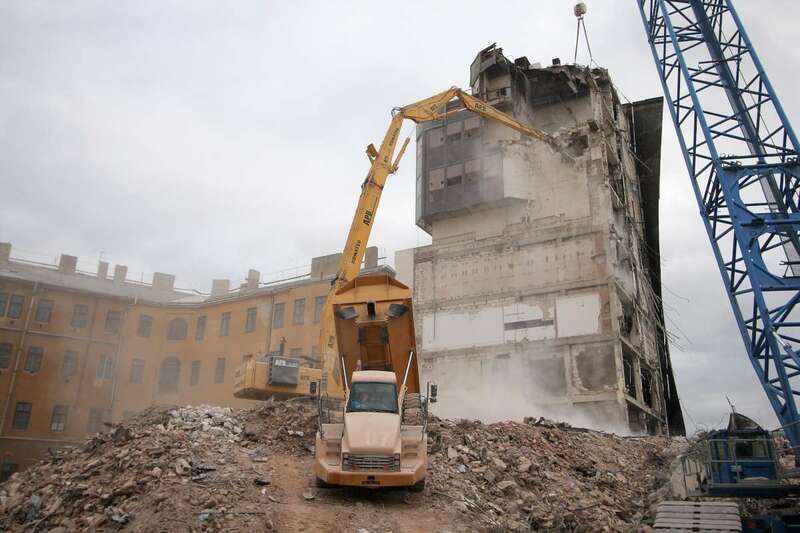 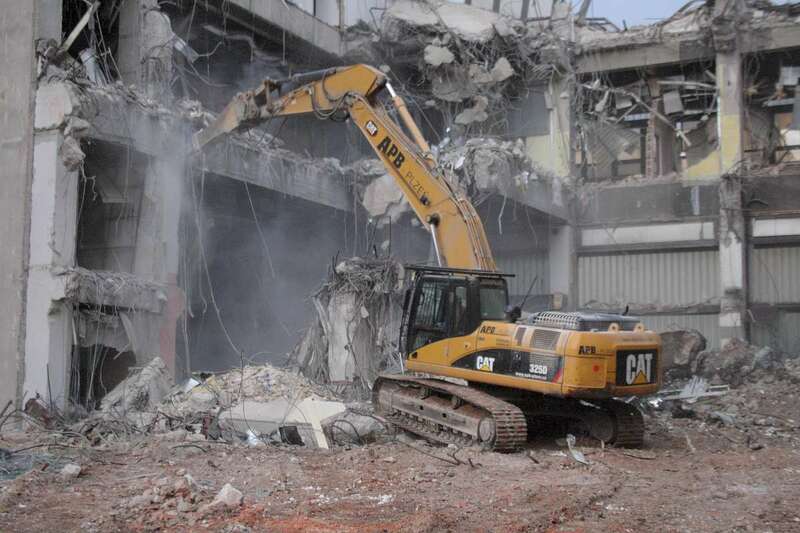 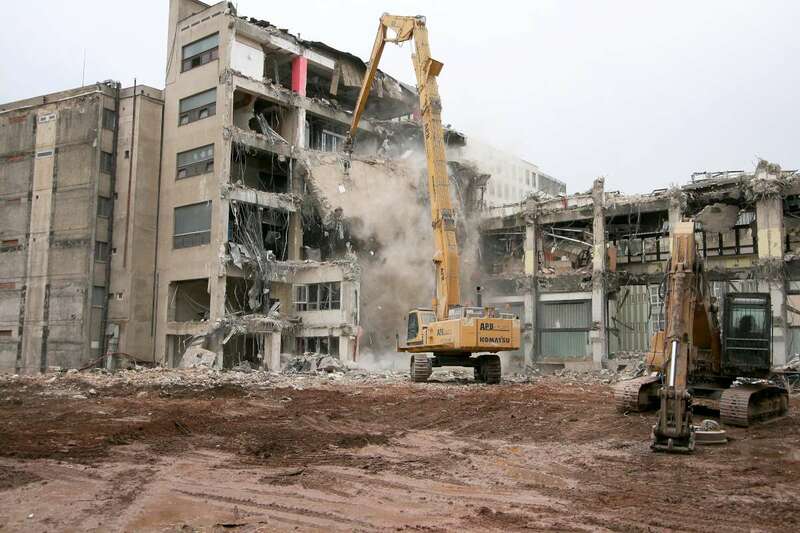 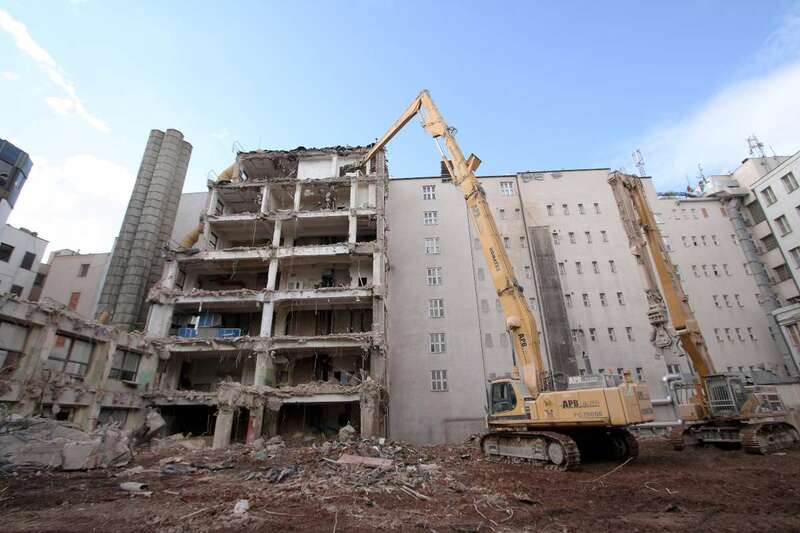 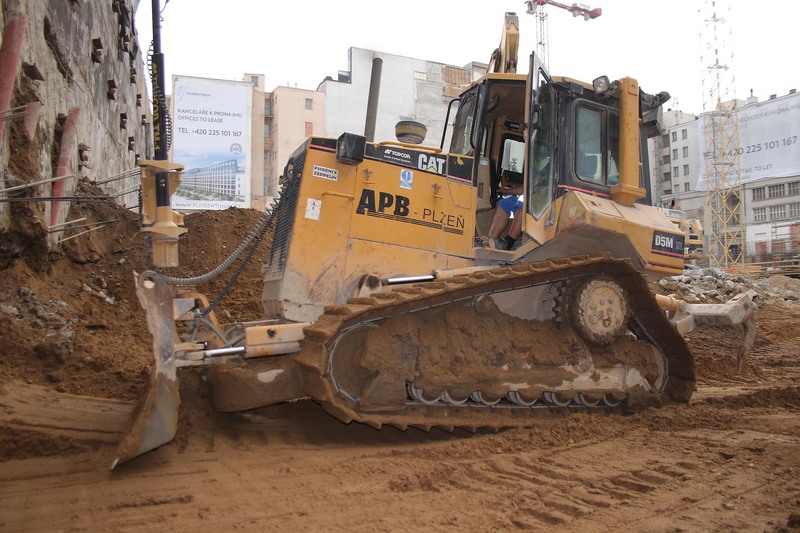 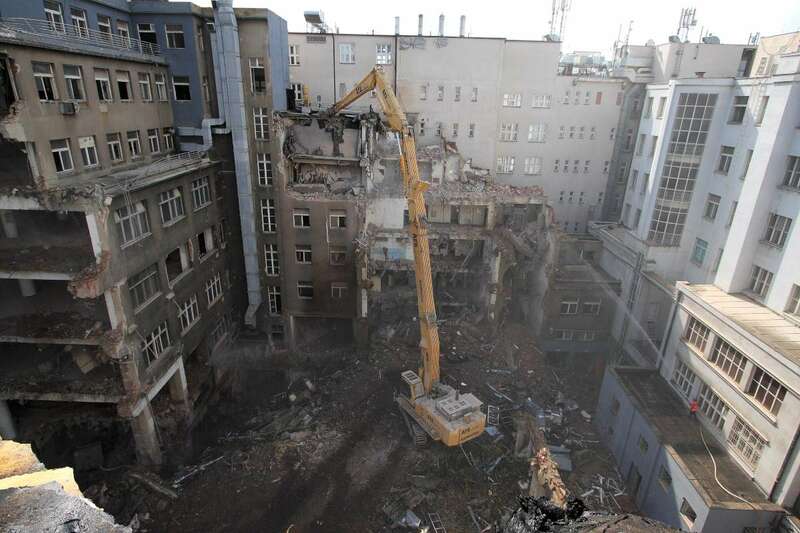 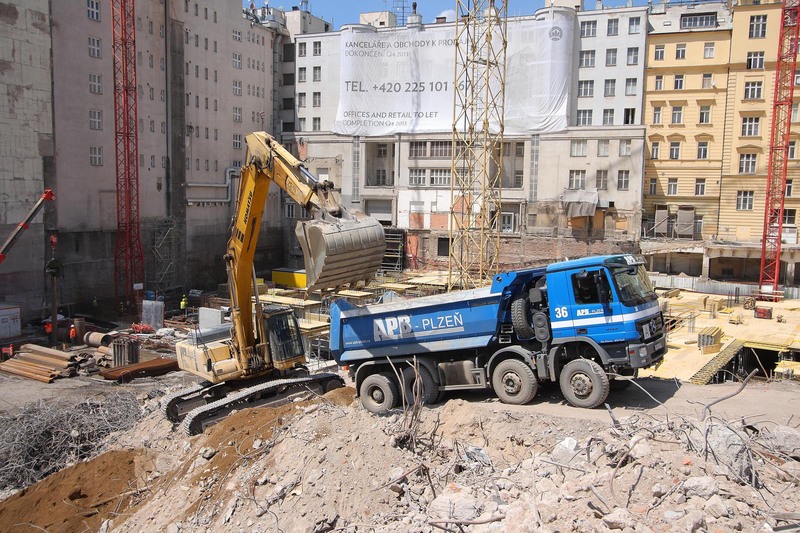 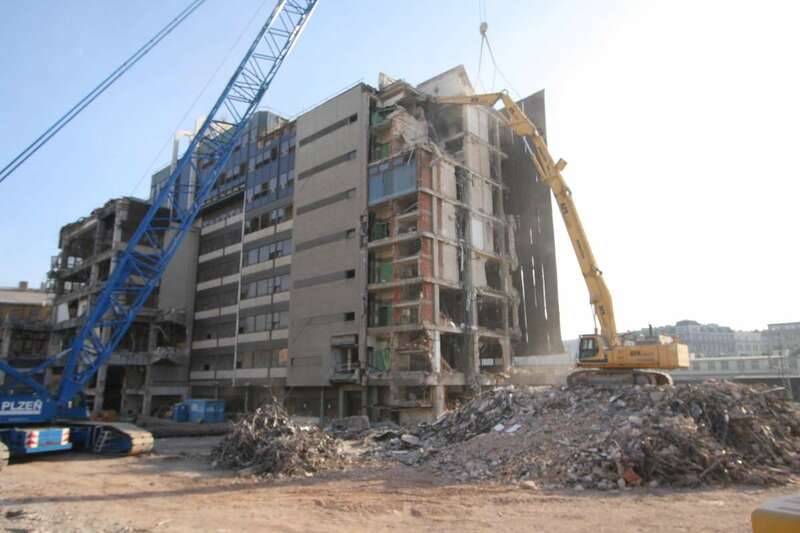 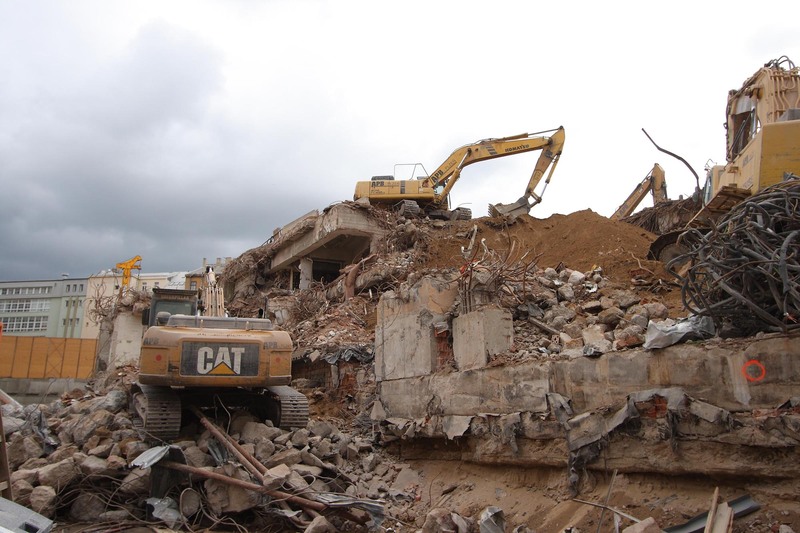 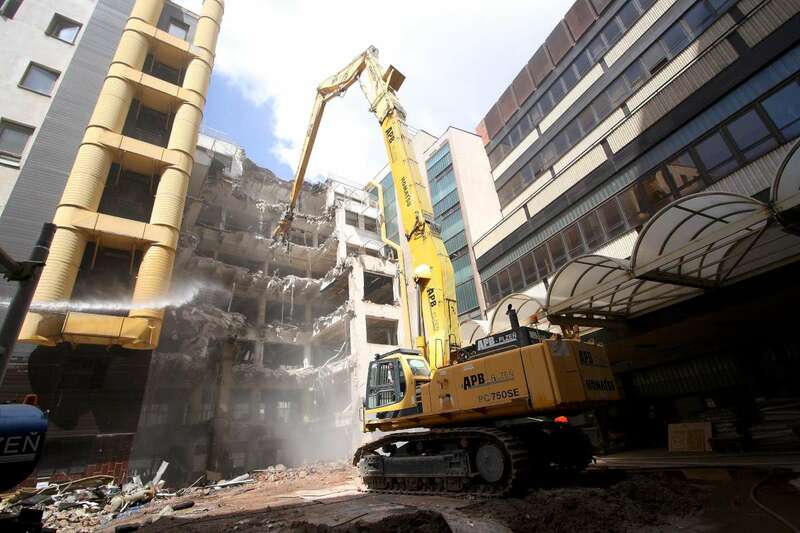 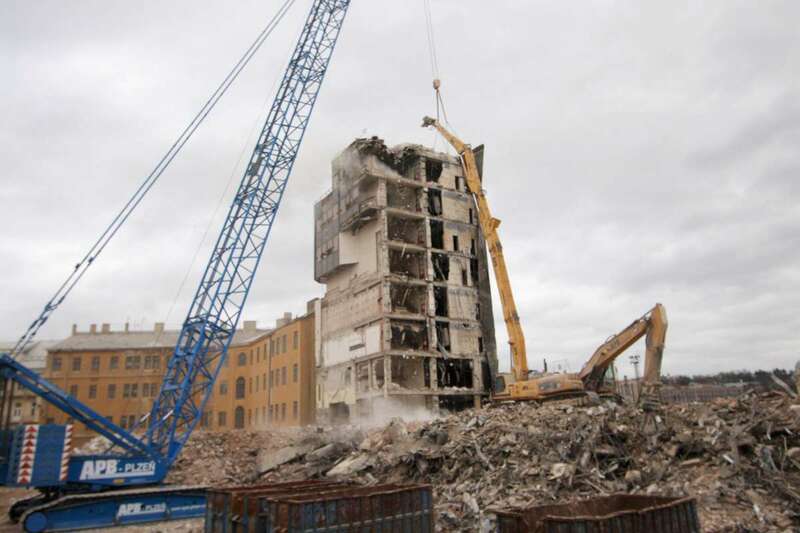 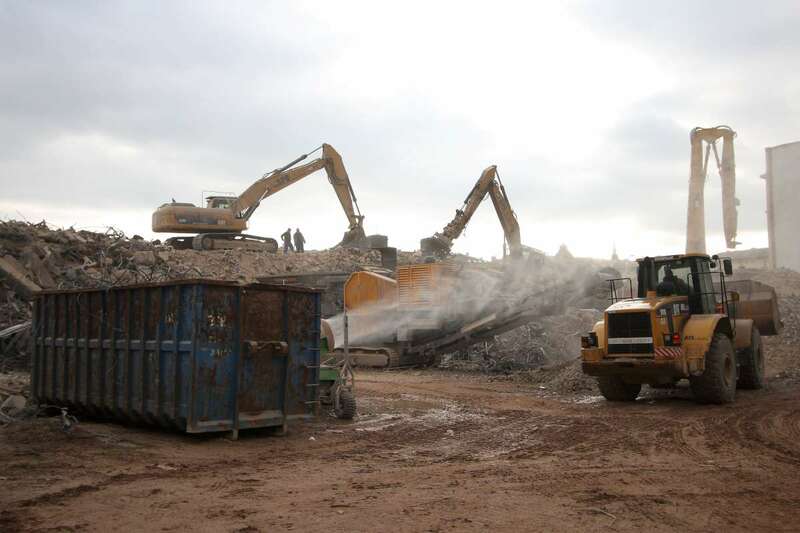 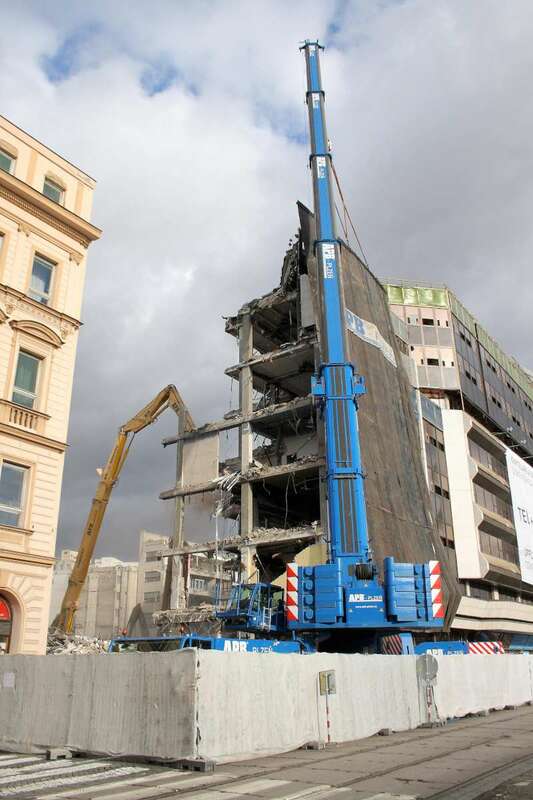 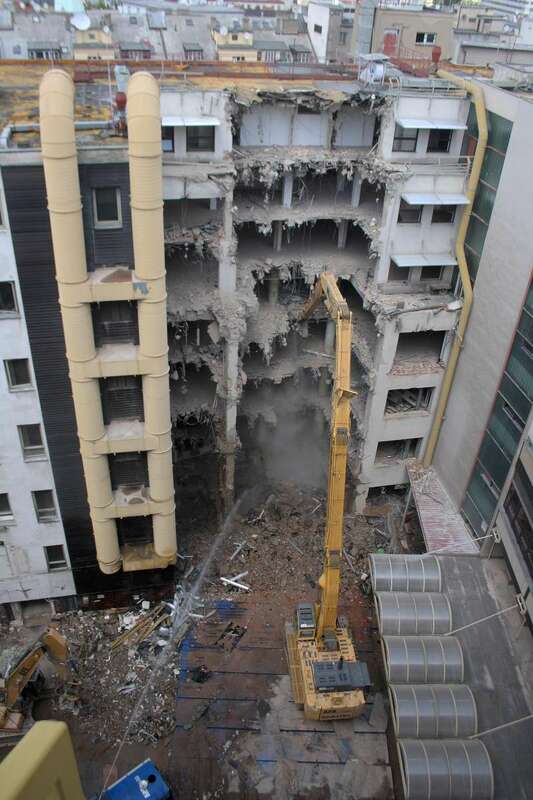 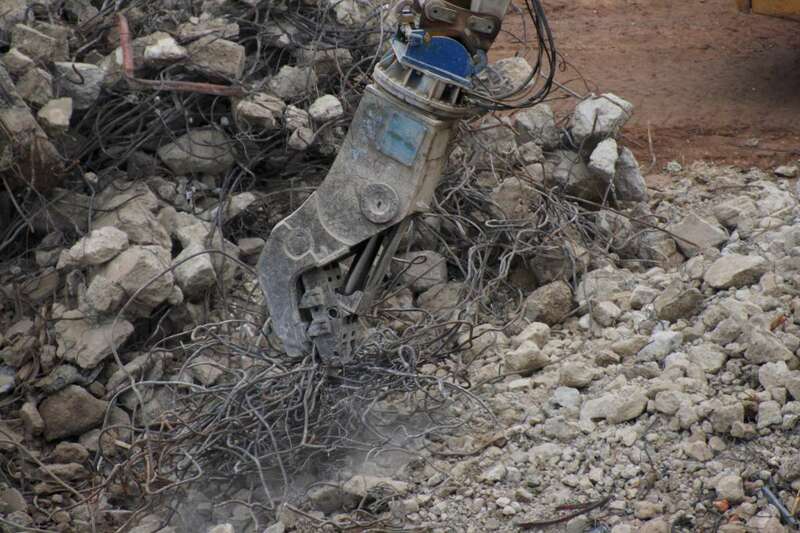 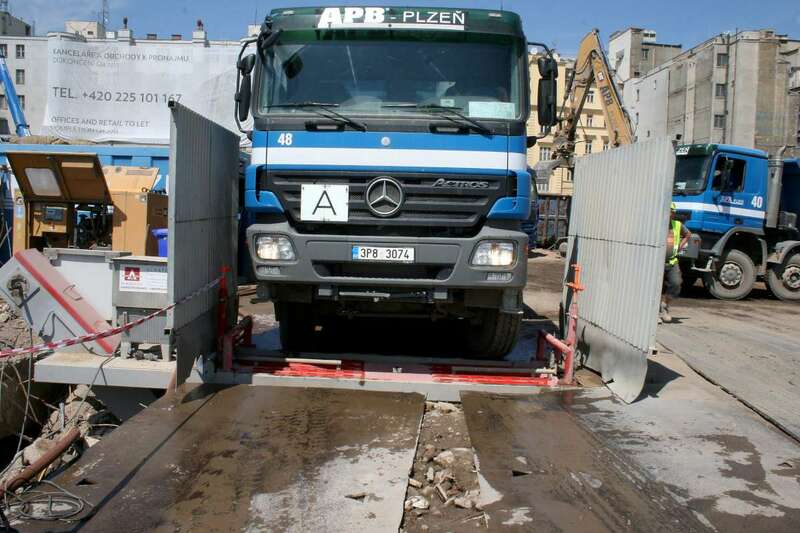 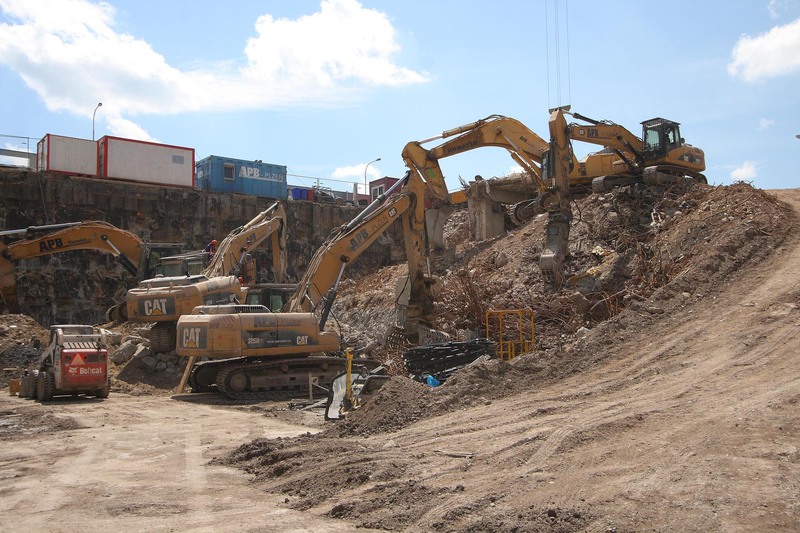 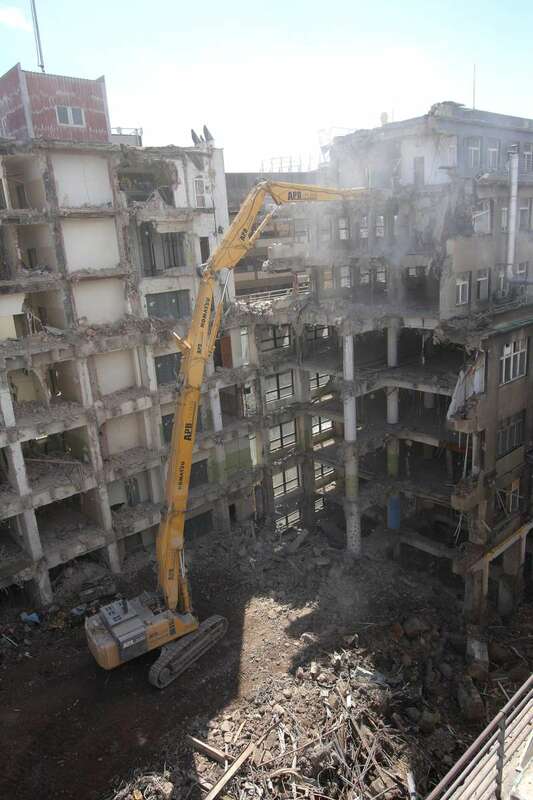 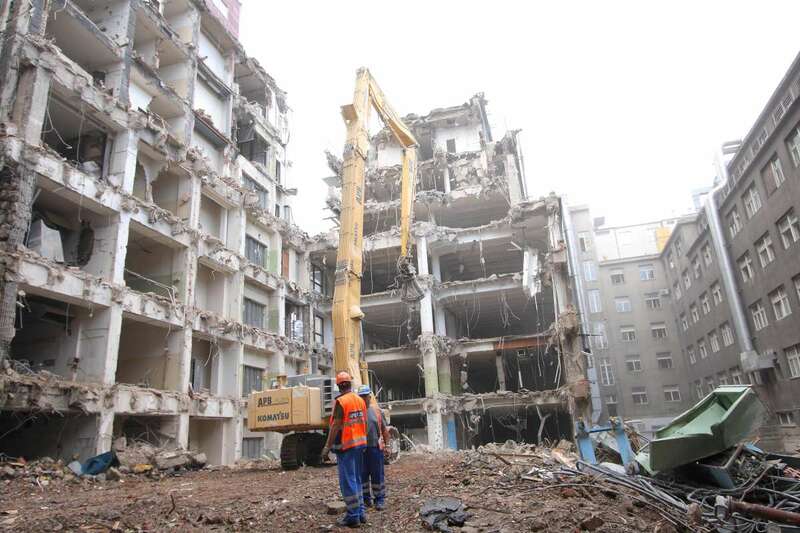 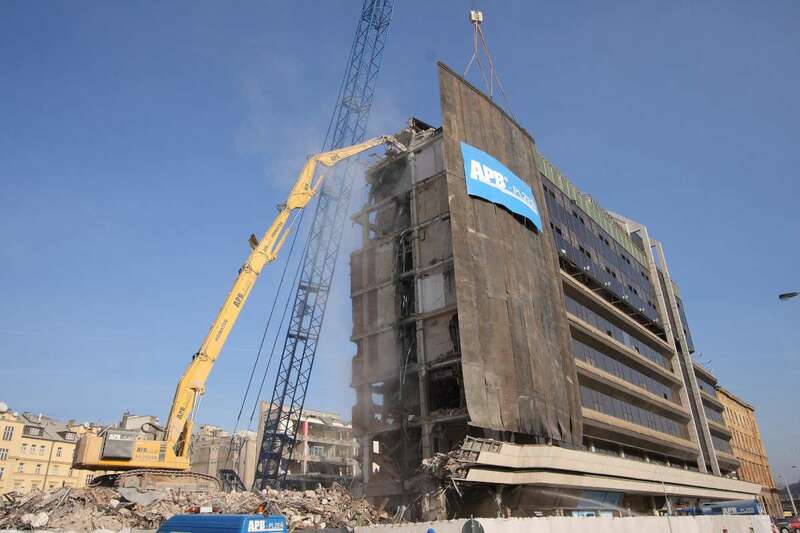 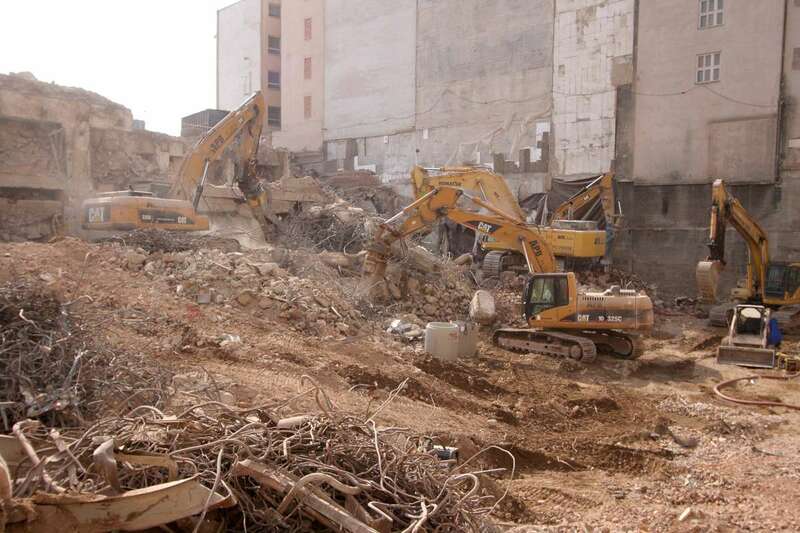 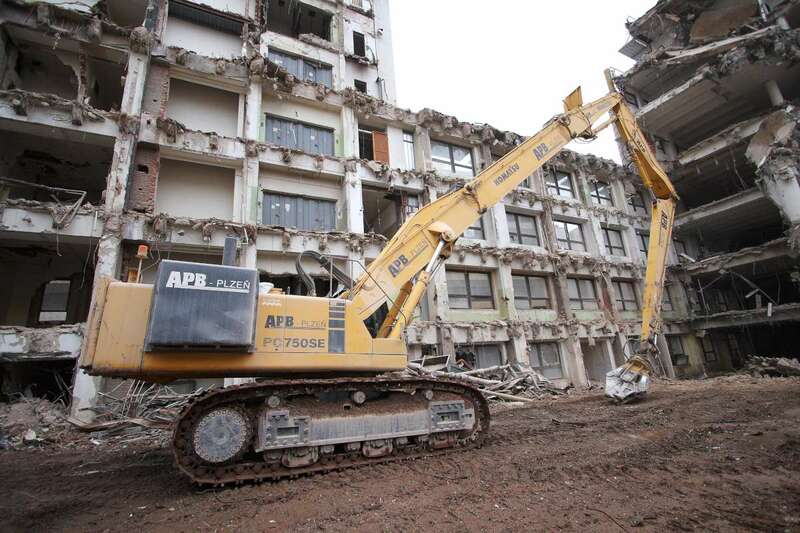 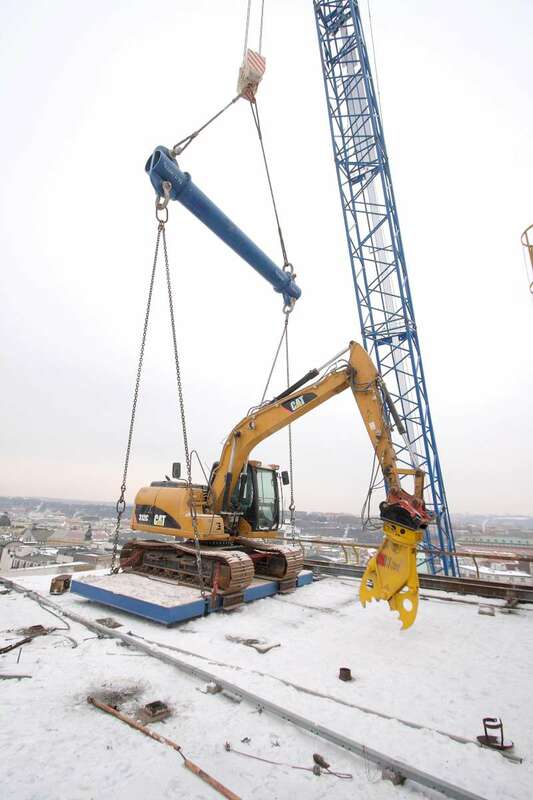 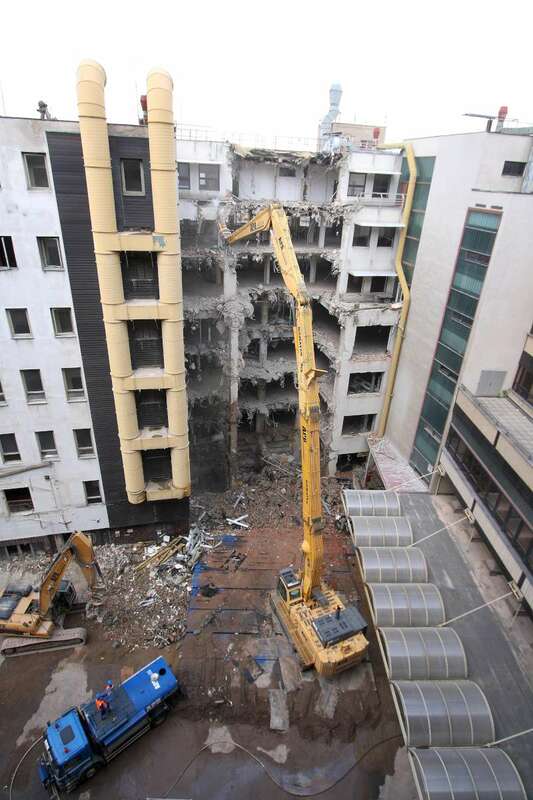 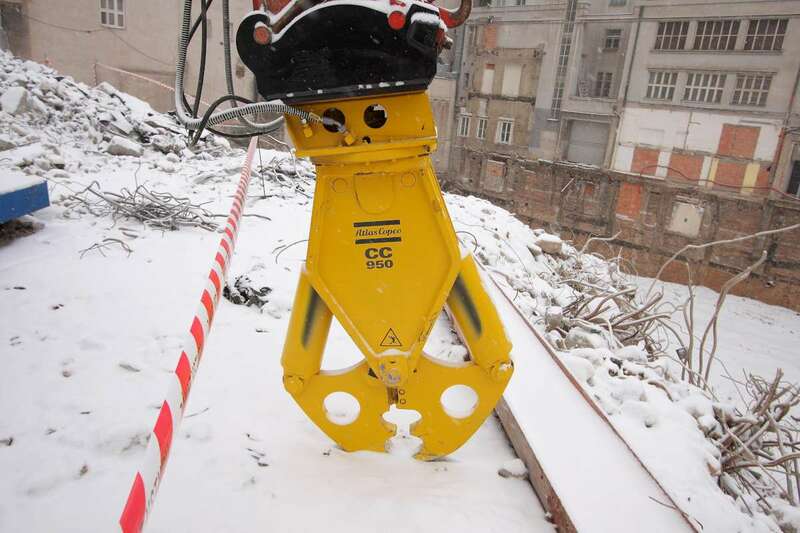 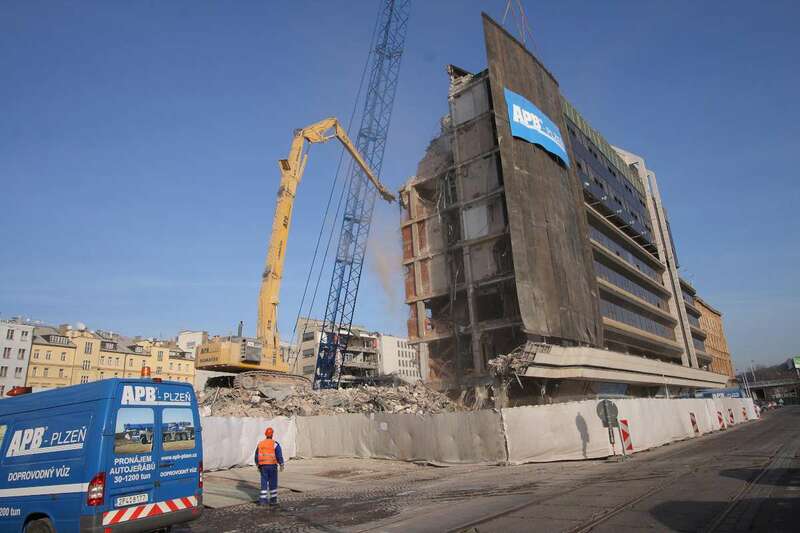 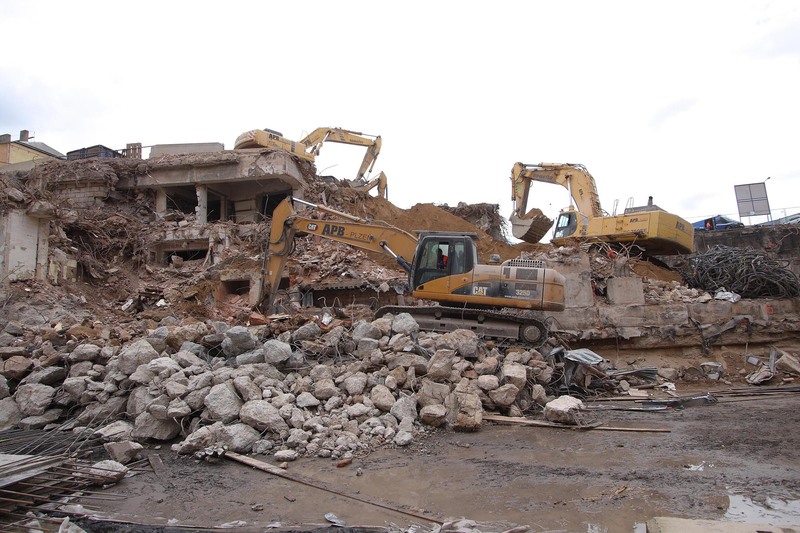 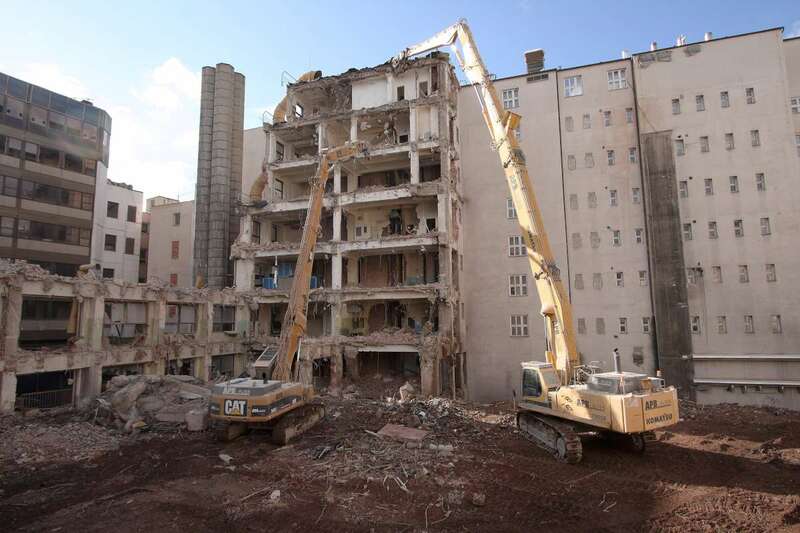 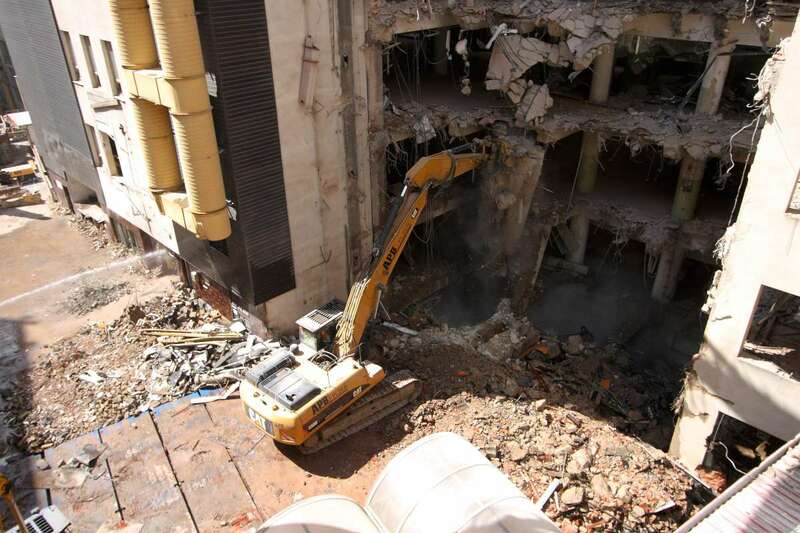 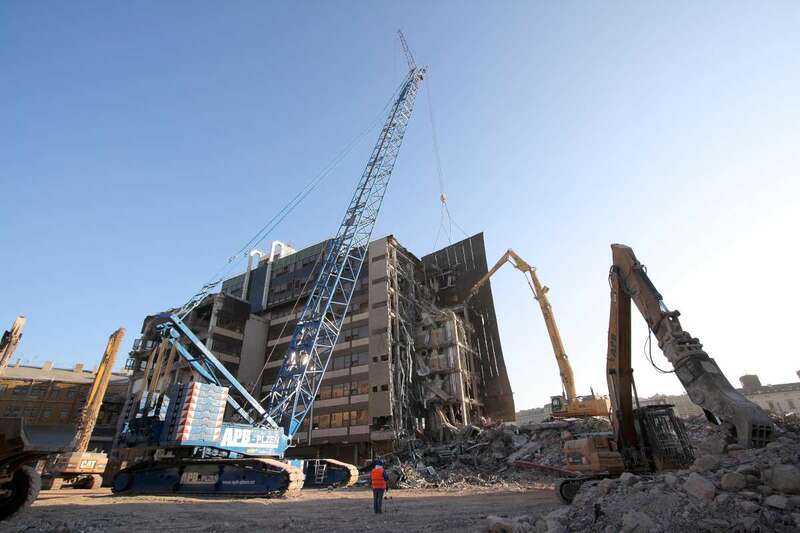 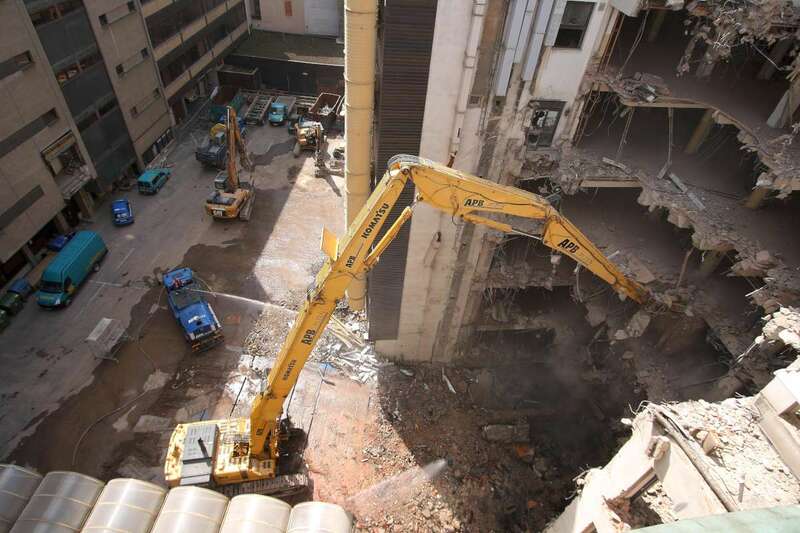 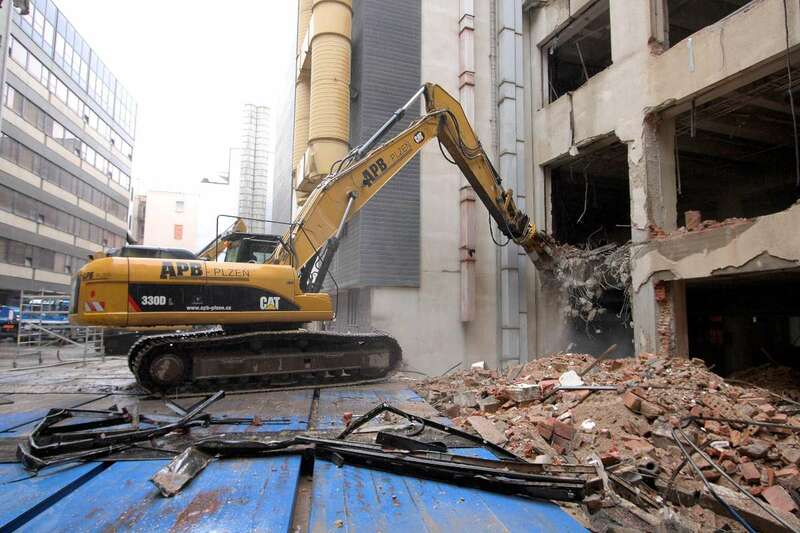 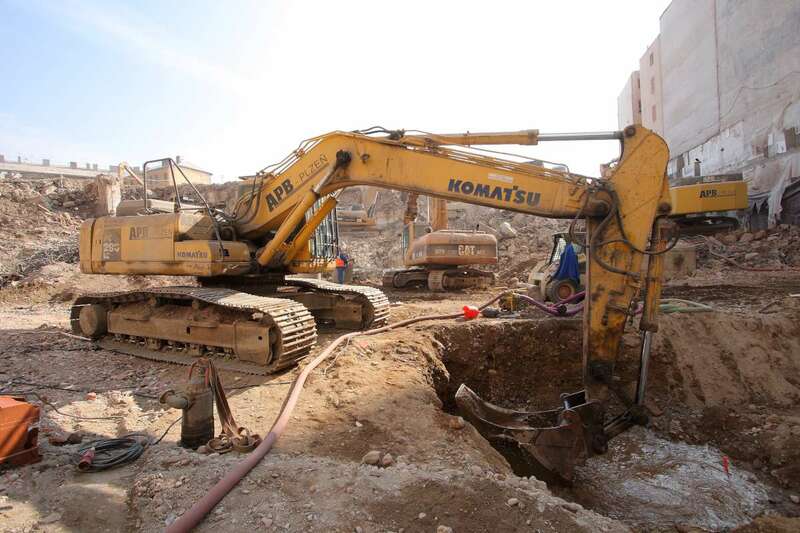 The extent of the demolition and the demolition tools used in combination with cranes caught the attention of the media and public.